If the upcoming holidays have already filled you with dread over picking out just the right gifts — or wading through crowds at the mall to get them — don’t fret! You can make the writer, or aspiring writer, in your life very happy (and productive) without ever breaking a sweat. They’re inspiring. Writing a book is an arduous task. Every writer has, at one time or another, put off completion of a project, either due to lack of publishing funds, or just plain lack of motivation. Getting a big head-start on the purchase of a publishing package — or whatever self-publishing service they might require — is just the inspiration any author needs to get ‘er done. They’re the gift that keeps on giving. What better gift than one that comes with terrific earning potential for the recipient? Your gift certificate sets in motion the publication of a book that could generate a lifetime of revenue for an author. That’s priceless! They’re thoughtful gifts. Don’t shy away from gift certificates out of fear that they’re impersonal — in fact, the opposite is true. The gift of publishing dollars for someone you know is dreaming of that very thing is the most thoughtful gift you can give. Marketing services — Book Blast, promotional materials, ebook editions, Amazon Listing Optimization, Top 10 Radio Interview & Media Training and more. They’re flexible for the giver. You can choose as few or as many gift certificates from Outskirts Press as you choose, in convenient denominations of $99. But the best part is you don’t have to wrestle fellow shoppers for it. Once you add the Instant Self-Publishing Gift Certificate(s) to your cart, Outskirts Press will contact you to find out who the special author is and gather any personal messaging you wish to include with the gift notification. If the writer is already registered and/or published with Outskirts Press, the $99 will be instantly credited to their existing Publishing Center account. If the writer isn’t yet registered, Outskirts Press will create a free Publishing Center account for them and credit the $99 gift to the new account. Once the credit has been applied to the writer’s account, Outskirts Press will notify them via email of the special gift using the messaging you provide. So, what are you waiting for? It’s time to wrap up the season’s gifting! 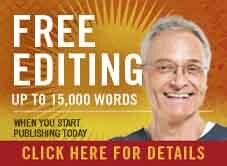 Receive FREE Editing (up to 15,000 words) when you start publishing today! 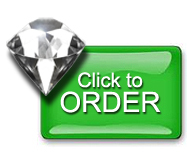 Any author who wants to publish a high-quality book must have their manuscript edited. Readers cannot take a work seriously if it is plagued with basic errors in typing or use of the English language. The Free Editing promotion offers authors a very attractive incentive to end up with a print-ready manuscript. This month, enjoy our high-quality, basic copyediting service for FREE for manuscripts up to 15,000 words and a pro-rated discount of $240 can be applied to the service for works of greater length. 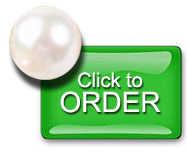 Enter the promotion code FreeEdit2015 when checking out of your shopping cart while purchasing the popular Diamond package or the full color Pearl publishing package by November 30, 2015. All in all, you’re looking at over $700 of free stuff in November! Dan Chapman enjoys sharing stories and studies of travels, people, and experiences by blending both with his signature mixture of humorous and thoughtful poetry. Now a retired educator, Dan has fused his fascination of new sights and discoveries with his enjoyment of writing into creative venues called The Traveler Series. Previously, Dan has written for several poetry resources publishing his first volume of poetry, The Book of Daniel, which initiated his writing career. Using Puerto Vallarta and its regional vicinity as a lovely backdrop, Dan Chapman cleverly uses his unique style of poetry and prose to take his readers on a personal adventure. Utilizing creative prose for informative storytelling and unique blends of humor, poignant thought, and poetry, Dan invites his readers to travel with him on his own spiritual journey to a beautiful and mystical vacation place for a dramatic and personal visionary walk. “Enjoy the trip” as Dan Chapman shares his Messages from Vallarta.